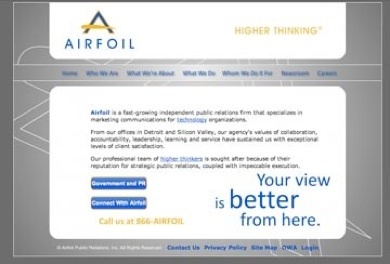 Winner of the 2008 Technology Agency of the Year, Airfoil wanted to freshen their image and create a new look. A total new identity was established, including a new logo. All internal communication devices like Power Point, Word Documents, web and presentation packages were redesigned to highlight their new look.